TSE 403: What Should I Do To Build A Strong Community? Home » TSE Podcast Post Page » TSE 403: What Should I Do To Build A Strong Community? Having a strong community is key to success. But how do you even get started with this? Today’s guest is someone who grew her community from zero to 24K. 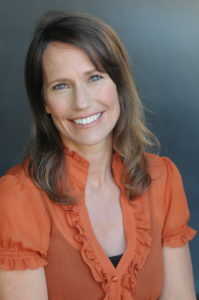 Kathy Fettke is the Founder of the Real Wealth Network where she teaches people how to build a passive income so that they can be more “work optional.” She provides them with lots of investing information specifically on how to acquire assets, mostly real estate such as little rentals, so they can live off their rental income from that. Now, I want you to realize that she grew her community by sheer accident so there’s definitely no reason why you can’t do this on purpose. Are you ready to get started? She had a radio show where she transformed the content platform to wealth building and interviewed people to understand how they built their wealth quickly starting from nothing. Since their show grew and grew and they were getting calls from people wanting a mortgage, her co-host couldn’t handle the massive number of leads coming in so he advised Kathy to get a real estate license and take them. Kathy heavily brought value to the table and she was bringing the right type of content. She found a segment of people who wanted to learn how to grow wealth using real estate. So she capitalized on this and her community just continued to grow. Find out what people need and how you can serve them. Care about the outcome, not the bottom line. This is how you can grow a community long term. How she corrected this: She stayed with them and brought them different solutions. She tried to find that silver lining, never ran, still cared, still tried to help and they appreciated it. Connect with Kathy through her website www.realwealthnetwork.com. Check out her podcasts The Real Wealth Show and Real Estate News. Please support us in our Indiegogo campaign, a movement to inspire others to Do Big Things. Simply go to www.DoBigThings.net. TSE 1007: Is It Possible To Have A “Perfect Day” In Sales?